Large windows bring sweeping views of the surrounding mountains into the Antler Bar, perfect for rehearsal dinners, cocktail receptions and seated breakfasts for up to 150 guests. Alfresco gatherings on the Terrace offer breathtaking views of Aspen Mountain and the quaint sights and sounds of downtown. Accommodating up to 350 guests, the Garden Terrace is an ideal venue for mingling with cocktails and hors d’oeuvres. 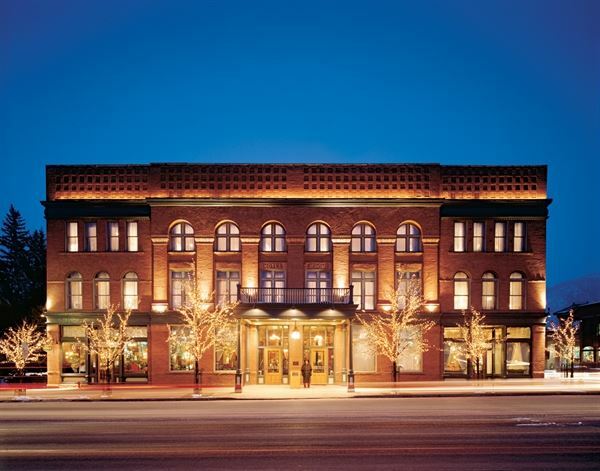 Large receptions are held in the Grand Ballroom, the only aboveground ballroom in Aspen. This elegant and spacious setting accommodates up to 400 guests for events or 500 for classroom meetings, and boasts Victorian-era elegance and sweeping mountain views. The 16-foot ceilings can accommodate special rigging and lighting to enhance any occasion. Cozy and intimate, the richly furnished Library accommodates up to 50 guests for small gatherings including welcome receptions, bridal luncheons and cocktail parties. Accommodating up to 80 guests, Wheeler Room is ideal for rehearsal dinners, celebration luncheons and business gatherings. The bright and airy room features a dramatic chandelier and antique hardwood dining room table that’s perfect for tasting dinners and smaller corporate retreats. An adjacent outside terrace area is perfect for alfresco cocktails or breaks.